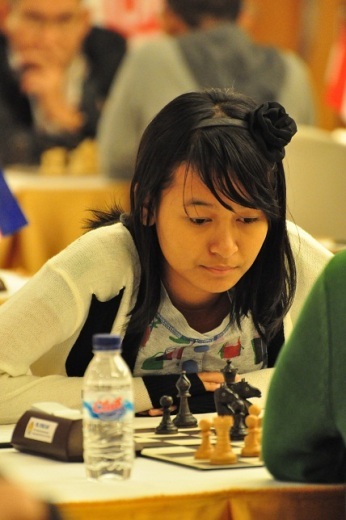 WIM Medina Warda Aulia has not yet been at her best at the Indonesia Open Chess Championship (IOCC) 2012. After five rounds, the 15 year old chessplayer has only scored two points. The young holder of two WGM norms is however optimistic over the remaining four rounds of IOCC 2012 and has promised to put in every possible effort to achieve a good result. Read on to better understand the World Schools 2008 Champion. Q: You were hoping to get your third and final WGM norm at IOCC 2012. But with only two points from five games it will be a big challenge to achieve this. What do you think? A: To be honest I am feeling a bit down. But now I will pick myself up and refocus myself to play at the maximum in the remaining rounds. Q: What does your trainer and organisers think about your chances? A: They do not put any special pressure on me. I do know that my job is to get my third WGM norm for the title if the opportunity arises. If I fail here then I am hopefully to achieve it at the Closed Tournament being held in Myanmar after IOCC 2012. The plan is for me to go there on 22 October. I however do not know who the other players will be as the organisers have yet to finalise the list of participants. I have played a lot of tournaments recently, 40 days in Europe, the World Chess Olympiad in Turkey, 2012 National Games, and now IOCC. Q: Do you feel tired? A: I did really feel exhausted and even to the point of stopping chess. But after the 2012 National Games I got 1-2 weeks rest and felt much better. Q: How are the preparations coming along outside of chess training such as vitamins and diet? A: Everything is ready but I am one of those people that does not eat a lot. Q: Have you ever been bored with chess? A: In 2011, I started to get discouraged. In the Talinin tournament I played well then played terrible in the Asian Cities because I was getting tired. At the end I was able to get some rest before playing in the JAPFA tournament, my score was good and I also became champion in a tournament in Singapore. Now I don’t feel bored with chess anymore. Q: How did you first come into contact with chess? A: I used to like playing with my Barbie doll. It seemed to me Barbie was like a King and Queen. Chess also has a King and Queen amongst its pieces and so I often took out the chess set and played make believe games with them like I did with Barbie. Because I kept taking out the chess set my father noticed and he started to teach me how to play. That was in 2006. Then for three months after I was taught by some adults who would always be playing chess nearby my home. From that time on I often played with them. I then played in the DKI District Championship and won. At the end of 2006 I came under Utut Adianto Chess School (SCUA) and in 2007 was sent to train for a while at the ASEAN Chess Academy. Q: What is your ultimate goal to achieve in your career? Q: What are your efforts in studying chess? A: I study chess with our trainer Ruslan Scherbakov. When at home I don’t work on chess because of the demands of my school work. Q: According to you, a chessplayer has the best chance to achieve maximum results before turning 20 years of age. A: Chess is a profession that can be continued till one is old. 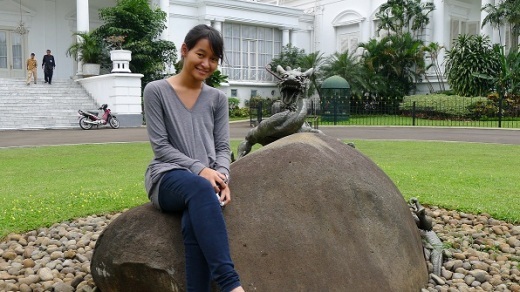 But for me it is best to achieve my maximum before 20 years of age as that can be my single focus then. After 20 it is likely I will start to be distracted by other things. Q; Who is your favourite player? A: Judith Polgar. I have not yet met her but have taken a photo together with her. 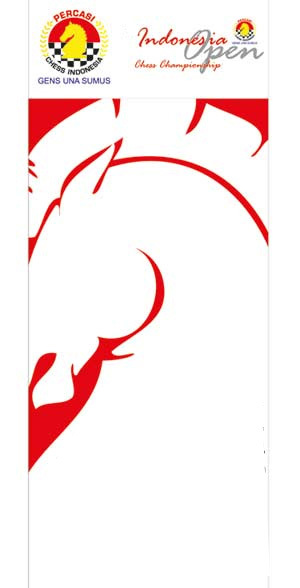 It was at the 2010 Olympiad. I managed to get a photo with her but we did not get a chance to talk as the games were about to start. Q: Are there any unforgettable tournaments for you? A: The World Schools Championship in 2008 because I became champion and I have the best memories of the tournament Children of Asia 2008 because it was there I turned 11. I was the youngest and was simply spoilt by everyone there. The gave me presents and the management of Menpora gifted me USD 100 and so I was able to treat everyone there. That was the tournament I happily remember most. Q: What do you thing you would have become if not a chessplayer? A: I would have liked to become a government official, preferably one who is often traveling abroad. 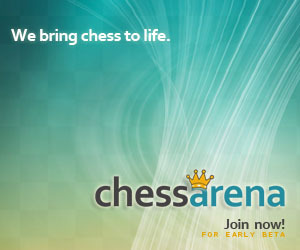 Q: You will eventually become a chess arbiter? A: I don’t want to be. Tournaments take a long to finish. And there is a big difference between playing and officiating.